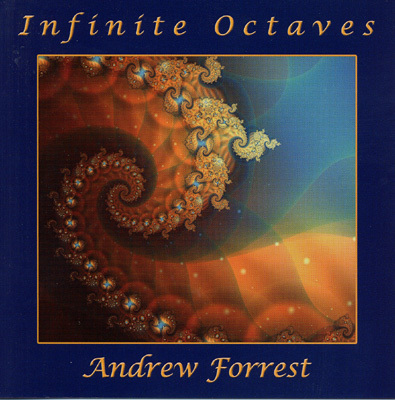 After years of preparing new sound- textures, and taking 12 months to compose and record, the long awaited ‘Infinite Octaves’ finally concludes Andrew’s ‘Star System Trilogy’. Four monumental, deep space tracks guide the listener to the timeless, the boundless. A sonic leap from all previous recordings…thanks to a new all-digital recording studio with unlimited track counts and enormous editing possibilities! The most ‘far out/in’ of all Andrew’s music to date.